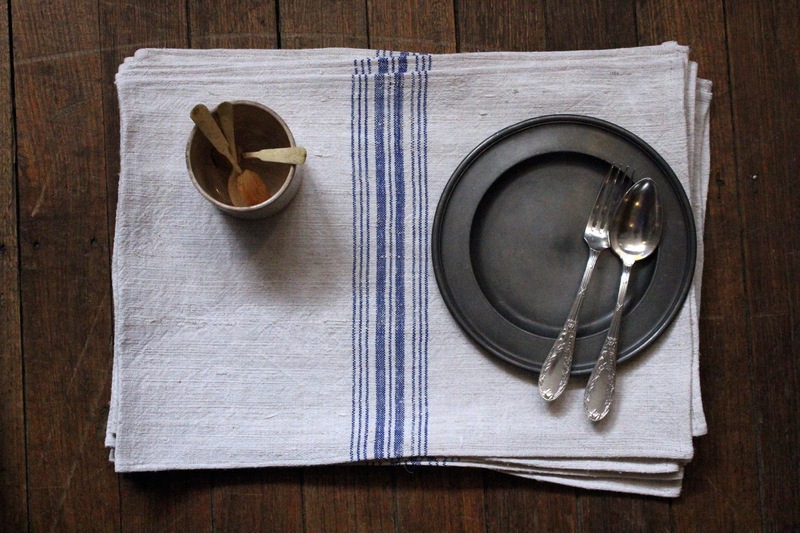 The Drill Hall Emporium: new in store...handwoven hemp linen place mats!!! 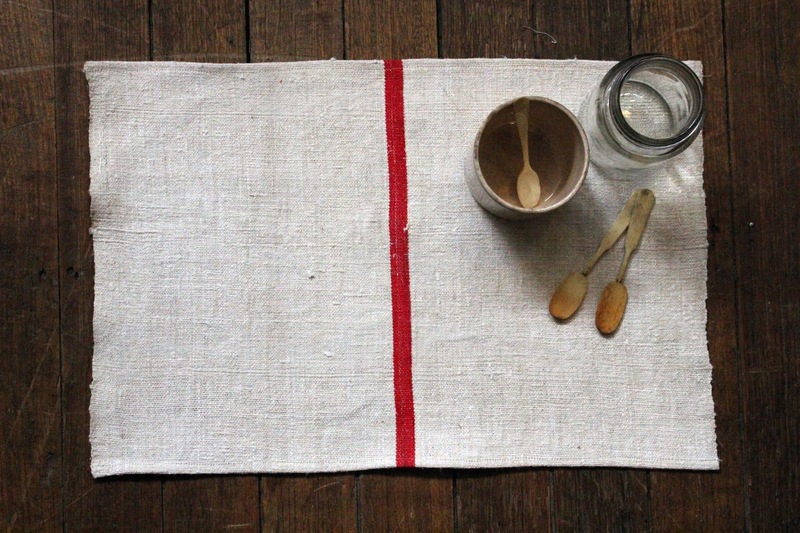 new in store...handwoven hemp linen place mats!!! 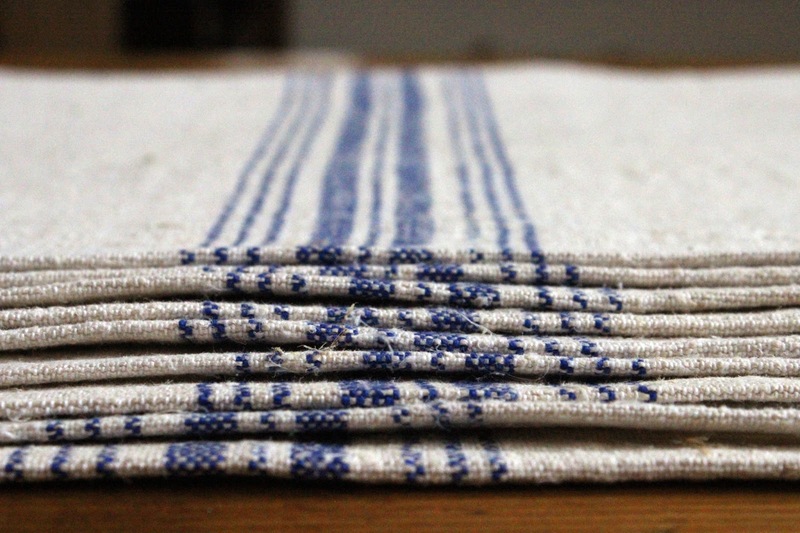 Our resident sewing and creative genius (aka Mum) has been busy covering her kitchen table with antique linens to make these delightful place mats. 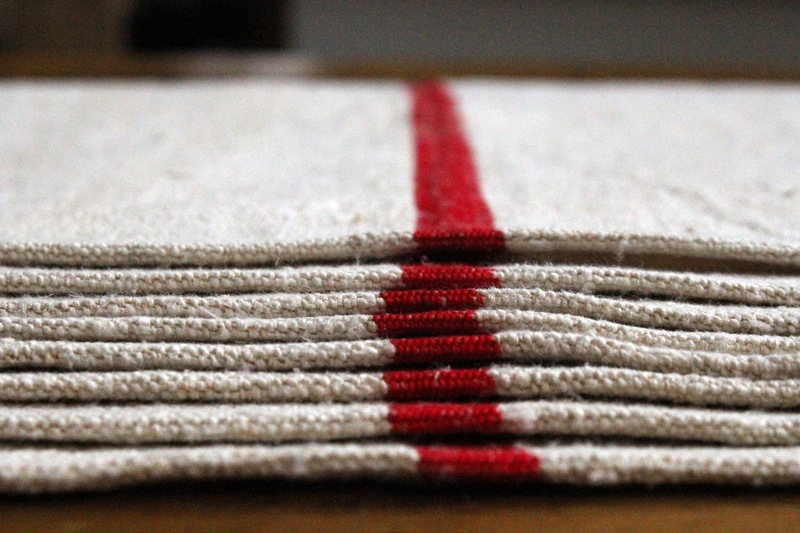 They have been made with handwoven hemp grain sack lengths, bought on our last buying trip to Europe. 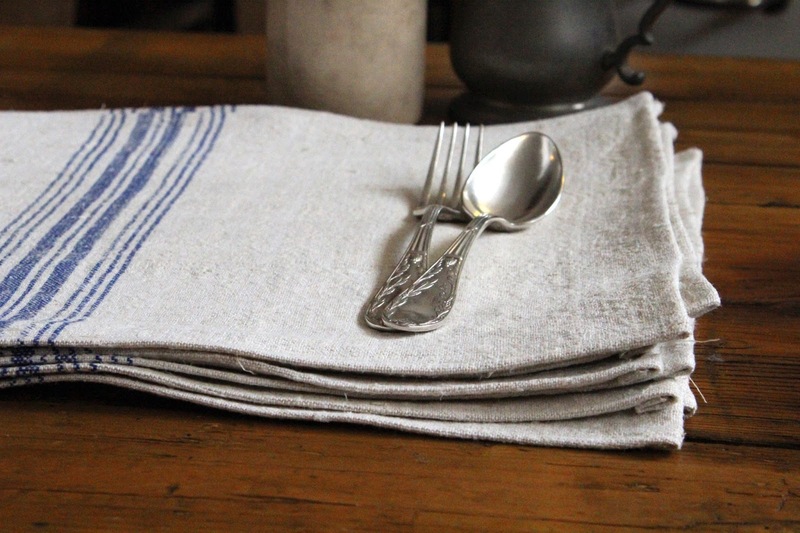 The stripe detail adds to the rustic French charm, although I think these would also look great in a more formal setting. The hemp is grown on small farms in Europe, without pesticides, and is hand spun. It is then handwoven on narrow looms. This fabric would date to the first half of the 20th century. As usual, these are not pictured on our website yet, as loyal blog readers you see things first! I would be interested to know, how many of my blog readers are also on Instagram? As I also like to post newly arrived items on our Instagram page, you can find it here. Wowww they are great !!! !.....love from me...x ! I haven't called in for what feels so long. I love these placemats, you're mum is very clever. I follow you on instagram. I am tech challenged so I really enjoy the eye candy but don't know how to comment....I will have to work on that. I always appreciate what you show in instagram. Keep up the good work! I have missed calling in, my computer has a major virus and I have to replace the hard drive, so I'm hoping by the end of this week early next I will be back. I'm glad you're night with the style guru Megan Morton went well. On my wish list. It is great to hear from you and I am pleased that you like the placemats as I know you have good taste! As to Instagram, it is all a lot of fun for me as I am a very visual person and it seems everyone communicates through images and few words. The night with Megan Morton was fantastic, she is the Instagram queen by the way! They are talking about doing more classes in Tassie, so keep an eye out. I hope your computer gets fixed ok.